Annapolis Area Christian School and Severn School, old boys’ basketball rivals with different, yet lofty aspirations met in the AACS Summer League final Wednesday. After falling in the 2016 finale, the Admirals captured the crown with a 77-56 decision inside Kilby Athletic Center in Odenton. Rising senior wing Jermaine Hall scored 20 points for Severn, and LJ Owens added 18. Eddie Scott and Aaron Celsis each finished with 13 points for Annapolis Area. The Admirals easily extended a 10-point halftime advantage, capping a perfect 13-0 showing in the league. The Anne Arundel County school routed Long Reach, 66-43, in the semifinals Wednesday. Despite a lack of numbers, Severn coach VJ Keith was excited to his squad’s chemistry flourish. “We want to keep building on that team chemistry and have fun,” Owens said. 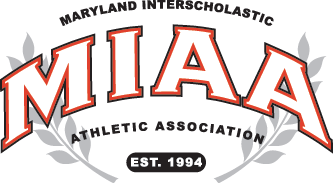 The Admirals, who lost to Annapolis Area in last year’s summer league final, lost to eventual champ St. Paul’s School in the MIAA B Conference semifinals this past winter. The Water Street school should be in title contention in 2017-18, led by Owens, arguably the league’s best player who has offers from American, Loyola, Quinnipac, Radford, UMBC and William & Mary. While Severn has its sights on the MIAA B crown, Annapolis Area Christian is preparing for its inaugural season in the A Conference. The Eagles reached the last three B final. Annapolis Area – Johnson 10, Celsis 13, Williams 11, Scott 13, Gill 2, Terry 2, Borden 5. Totals 24 4-4 56. Severn – Terry 14, Owens 18, Burch 10, Hall 20, Harmon 13, Thompson 2. Totals 28 14-16 77.